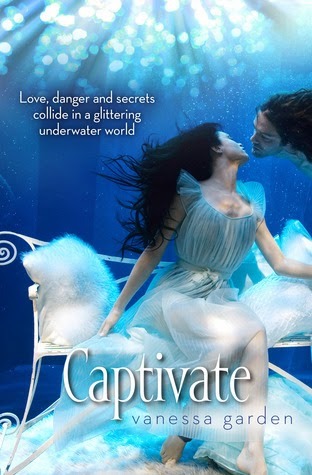 Captivate started slowly and I wasn't sure if I'd enjoy it, but about a third in, I suddenly found myself getting more and more drawn into the story and by the halfway mark I was keen to see how it would end. The book takes a different slant on the mermaid idea, defying expectations right from the word go. The characters are perhaps a little too stereotypically YA at times as I found myself anticipating their every move, having seen a similar thing countless times before, but the plot interest made up for that and created an overall enjoyable read. The only thing I would say is that I felt the problem facing Marin a little inflated since I could easily think of ways to deal with the issue that didn't involve kidnapping one young girl. I was also confused as to how one girl would solve the long term issues... but I put that aside and tried to just enjoy the adventure. I might not rush to reread this book, but I would definitely read future books in the series and I can recommend this underwater tale to YA fans of books such as Hush, Hush and Fallen who are looking to leave the skies and take to the seas.